Article: Dylan Riley Snyder Had Loads Of Fun At The “Lab Rats: Elite Force” Premiere Party! The magnificent and genuine Dylan Riley Snyder had loads of fun as he attended the Lab Rats: Elite Force premiere party on March 2, 2016. 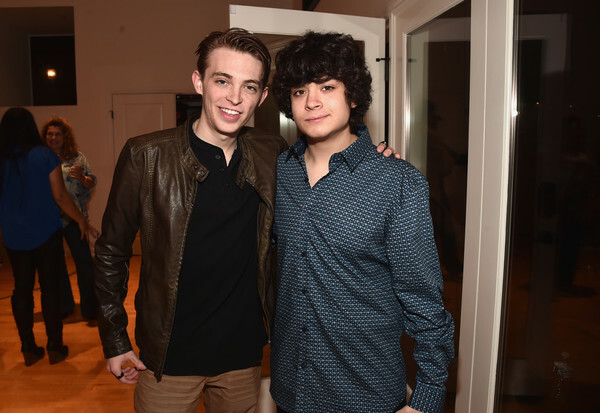 The extraordinary Dylan Riley Snyder had a blast showing his support for his fellow Disney X D family members at the premiere party for the adventure-filled, new show. Had an awesome time with everyone you see here and more at the release of the new show on @disneyxd #labratseliteforce @disneychannelpr Congrats cast for an awesome show!! It looks like Dylan Riley Snyder had a terrific time at the Lab Rats: Elite Force premiere party! Comment below and tell me or tweet me at @alexisjoyvipacc, did YOU tune in to the premiere of Lab Rats: Elite Force? Previous Article: Catch Isabela Moner, Jacob Hopkins, Thomas Barbusca, Griffin Gluck And More In The “Middle School: The Worst Years Of My Life” Trailer! Next Article: How Many Stars Can You Spot Who Attended The “Lab Rats: Elite Force” Premiere Party? Check It Out Here!